Looking for a variety of events for paintball? 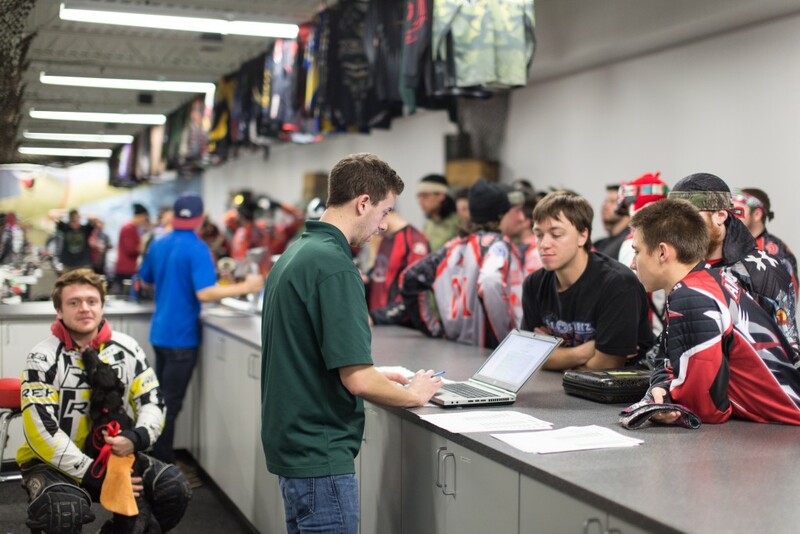 Our party hosts can help you choose from a variety of different paintball scenarios at Air Assault, our indoor paintball field in St. Paul, MN. You’ll fight until the last man or woman is standing. The only thing left to do is celebrate your victory in the city streets. Your private group is often as tiny as 8 people or as huge as 150 people. Groups sponsoring occasions for paintball, just like a birthday, bachelor or bachelorette parties, youth groups etc. can be eligible for a free rental upgrades. Have some fun all day long at our 4 locations within the Minneapolis or Twin Cities. The hanging out does not need to stop just due to rain. It?s a rain or shine event. Youth groups will like an all day long occasions which involves fun, working together and proper controlling. Book your playing area for any bachelor party, bachelorette party or corporate event. Kids birthday parties are another kind of event you are certain to wish to stage on the playing fields. Preparation matters not. Your visitors do not have to own paintball gear. Never fear, we’ve rental gear readily available for a nominal fee. Rent a semi-automatic paintball marker (paintball gun), hopper, mask, barrel cover, triple pod transporting pack for the compressed air tank, the compressed air tank and along with free air refills. Obtain a more complex paintball gun for a small fee. Get extra equipment should you decide it?s needed or wanted. We offer mitts, overalls, vests and paintball grenades to create your event much more exciting. Here at Air Assault Paintball we specialize in private group parties. From birthday parties to bachelor parties, we are the Twin Cities best spot to host your next big event. Minimum group size for reserving private play is 8 people, but we are able to accommodate up to 150 or more players. Just give us a call at 651-222-0300 to reserve your spot today!